Interior signs guide visitors to their destinations. While many interior signs are now regulated by ADA (Americans with Disabilities Act) this type of signage must address many other issues, such as flexibility for future expansion, ease of installation and maintenance. 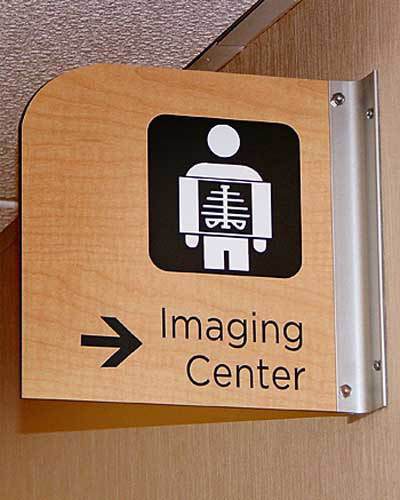 Interior signs are designed for lobbies, offices, conference rooms, etc. The signs produced are limited only to your imagination. Materials used and colors selected can all be put together to meet your design and decor needs. They can be designed to match your company identity or used to spice up the atmosphere in your facility.